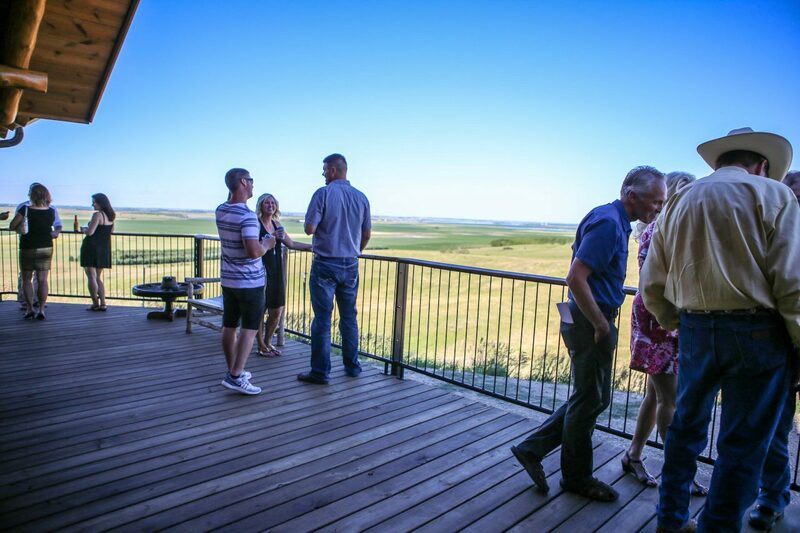 Ole’s Office, the bar at Coteau des Prairies Lodge, will be open to serve drinks this Saturday (June 10th). Everyone is welcome. Doors open at 2:30 pm. No food will be served, but bar snacks will be available. Rooms are also available for overnight stays! Usually the lodge is booked by private groups on weekends so Ole’s Office isn’t open to the public, but we are opening up this Saturday for anybody to come in for drinks! 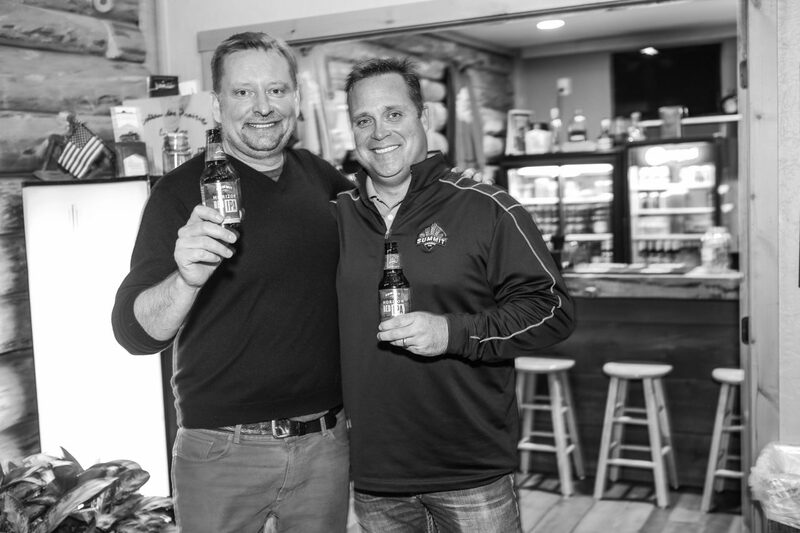 In the tradition of the storied small town bars of North Dakota, the lodge will be a meeting place on Saturday for our rural community. If we see a good turnout, we may open to the public more frequently during slower seasons. We’ll be sure to sharpen our pencils and load our staplers for your visit to Ole’s Office. We hope to see you on Saturday! 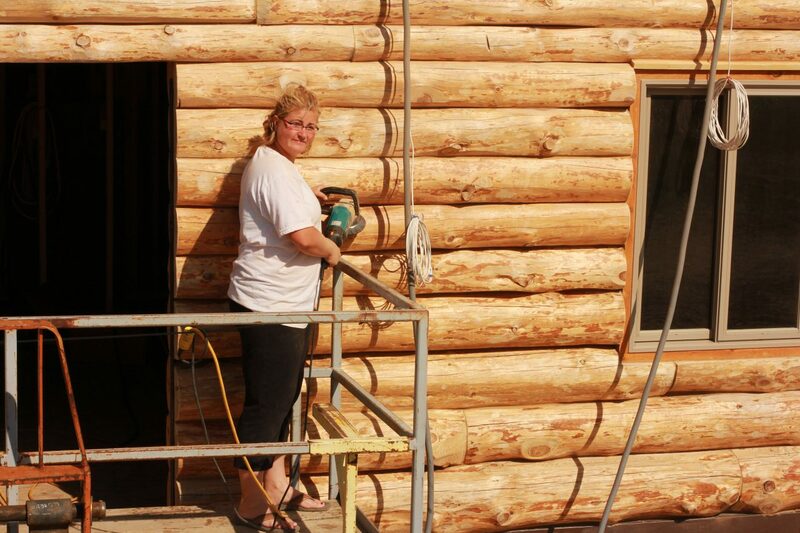 Olivia ‘Ole’ Stenvold, lodge manager, buffed many a log during construction of Coteau des Prairies Lodge. Looks like she could use a cold drink! Nope. Ole Syverson is a real person and he really did homestead just one mile from here, but Ole’s Office is named after our lodge manager. You see when we designed the lodge, the room that is now Ole’s Office was planned to be the manager’s office and concierge desk. The bar was going to be on the second floor balcony. 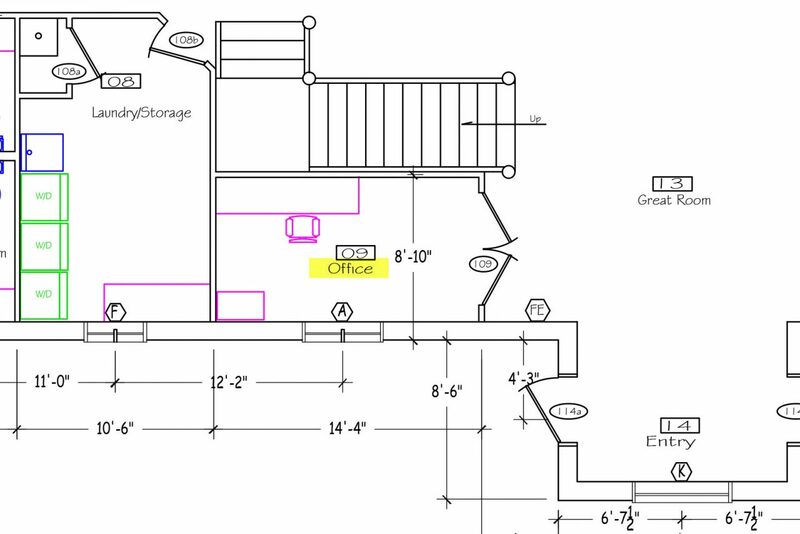 Original plans called for an office/concierge desk where the bar is today. After being in business for a few months, we realized the bar had to be on the main floor. It just wasn’t ideal having people walking up and down the stairs to the bar. 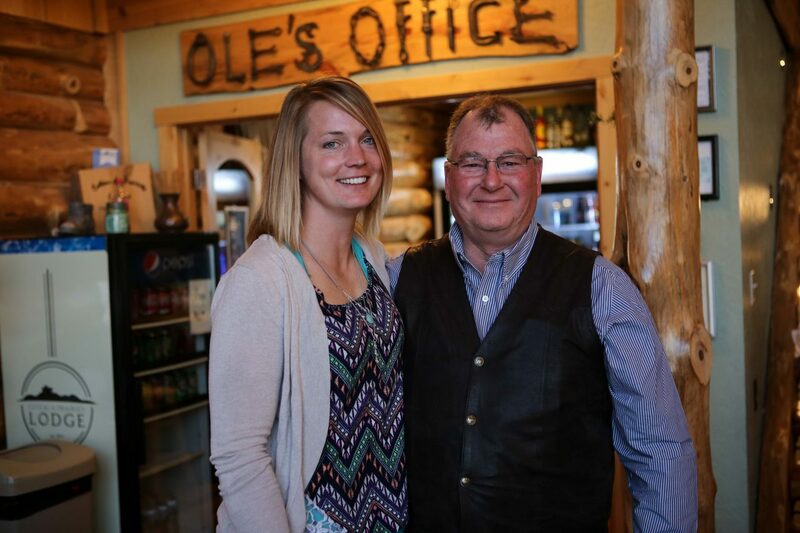 Four years later, Ole is accustomed to her ‘mobile office’ for dealing with lodge business and Ole’s Office is a favorite gathering place for everyday guests of the lodge.